Daniel Falatko released Travels and Travails of Small Minds back in back in October with Ardent Writers Press. You can grab yourself a copy here. Trials and Travails of Small Minds follows the sideways trajectory of an unambitious career temp worker occupying the most nowhere of nowhere jobs. Nathan spends many a hungover morning and afternoon fetching coffee for his senile slumlord boss in a dust-choked office on the Lower East Side of Manhattan. Between gossiping with his lone co-worker in their dangerously untidy office, hanging with a drug-addled neighbor, and dealing with a jealousy-ridden girlfriend, Nathan stumbles headfirst into a clumsy property scam which finds him unknowingly at the center. With a cast of characters including a dead beatnik legend, an eccentric and pompous collector of the beatnik's works, a new love interest in the form of a tenant with unclear intentions, and a network of sociopathic former literature professors, a saga unfolds over eight days in August which sends Nathan careening through lower Manhattan, Brooklyn, the suburbs of England, and Beyond in a swirl of comedic intrigue. 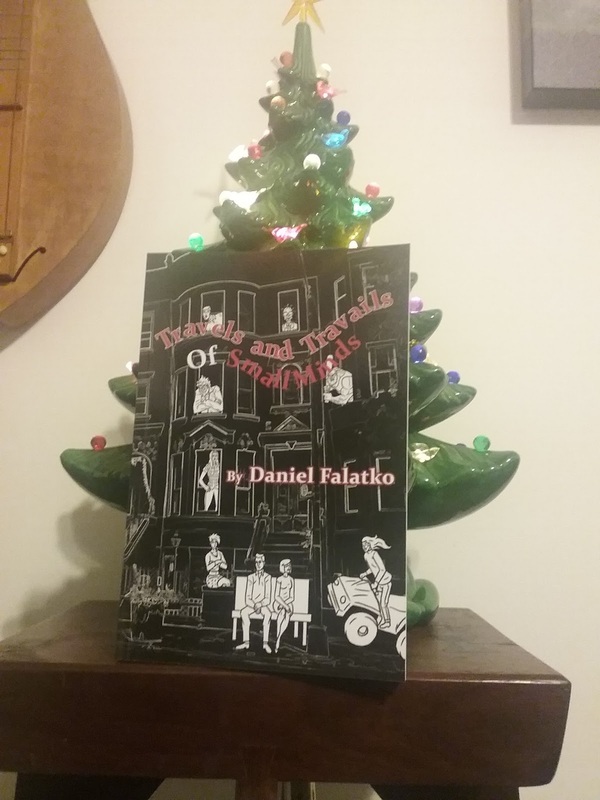 Daniel Falatko is the author of a previous novel, Condominium. He is a graduate of the MFA in Writing program at Vermont College of Fine Arts. He lives in New York City.